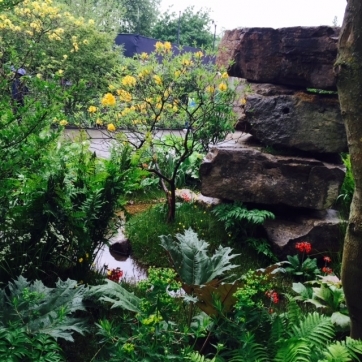 This year I saw the most beautiful garden I have ever seen at RHS Chelsea. It was the Laurent Perrier Chatsworth Garden designed by Dan Pearson. Never has a garden made me emotional almost to the point of tears. (Dan later told me that others had found the garden an emotional experience too.) The garden, thoughtful, serene, romantic, managed to mix monolithic rocks from the Chatsworth estate with delicate, almost forgotten flowers such as red campions and buttercups. 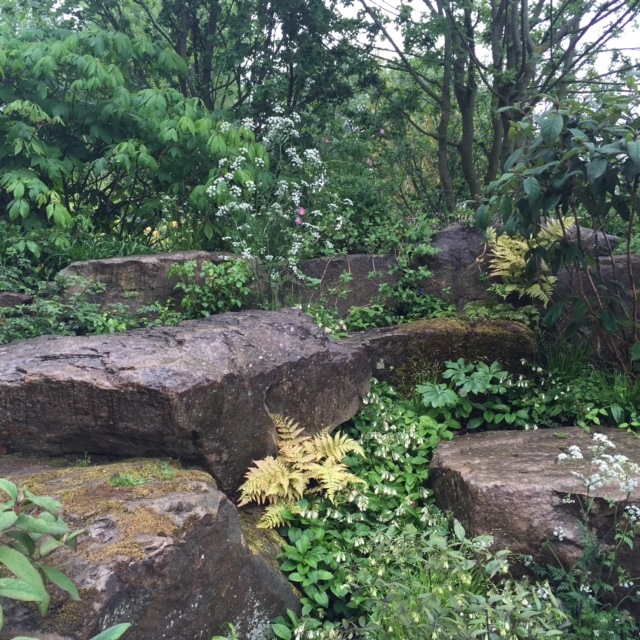 A yellow azalea, a laburnum, sombre, thin stemmed lilies, plants that in other hands might have seemed out of place in a garden of vast grey rocks and meandering stream, turned out to be sheer genius. Unusually for a Chelsea garden, this one could be viewed from all sides (I was also taken past the ropes and along the paths by Dan himself). Whichever side you viewed the garden from, it was a clear winner, and indeed won both Gold and Best in Show. I saw this garden at its best, in gentle rain, when colours were at their most intense, under a soft grey sky. 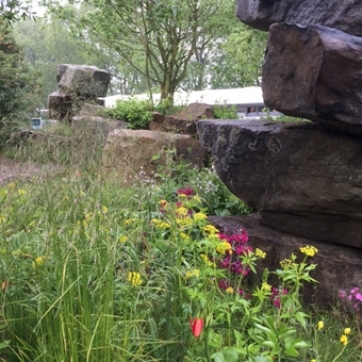 RHSChelsea is always an interesting and inspiring place, but this time, it was emotional too.